Are there any obstacles that may affect delivery to your site? This might include roundabouts, dead end street etc.. 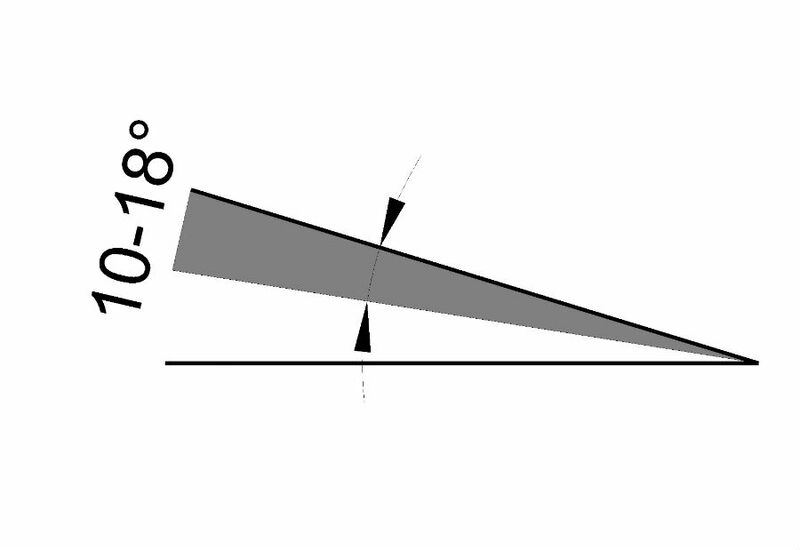 Please specify maximum beam length you're able to transport. Do you want any members or components to be Powder Coated? 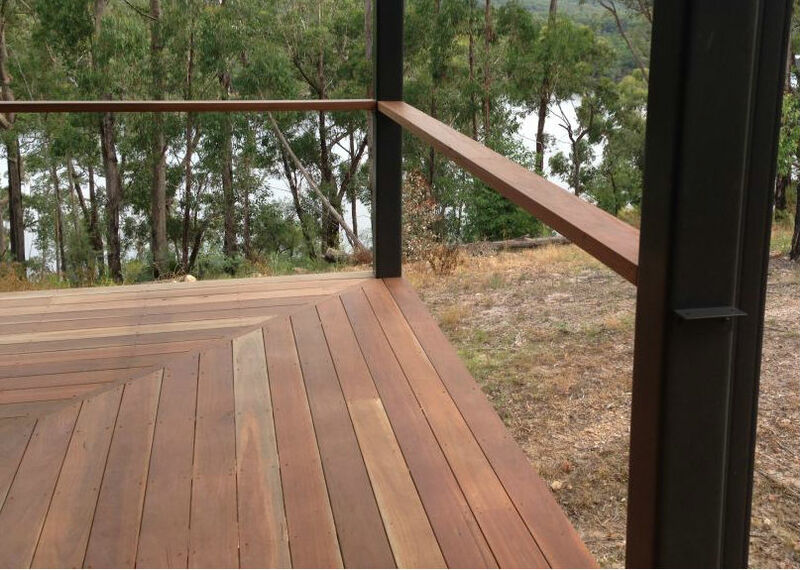 Go to COLORBOND's website to see available colours. 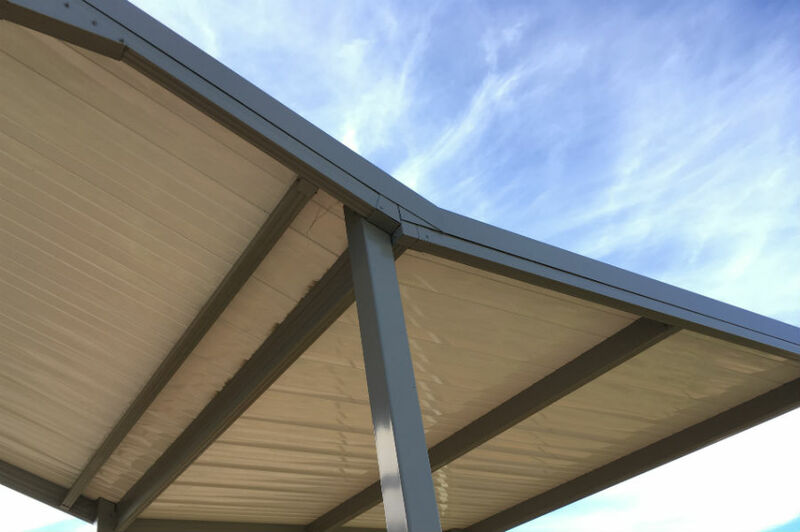 Please answer what you can to allow Spantec to provide you with the best possible quote, anything you can't answer or you are unsure of don't stress, one of the Spantec team will be in contact with you to discuss your requirements. 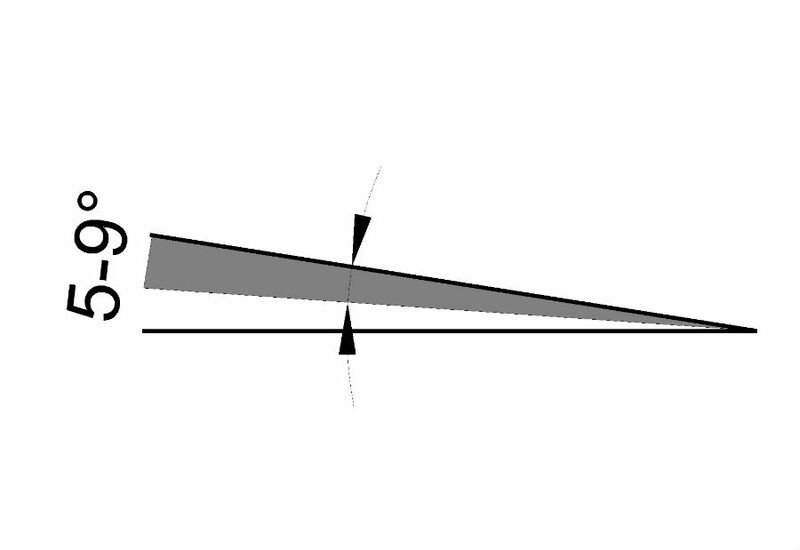 Common conventional floorcovering. 19mm & 22mm thick. 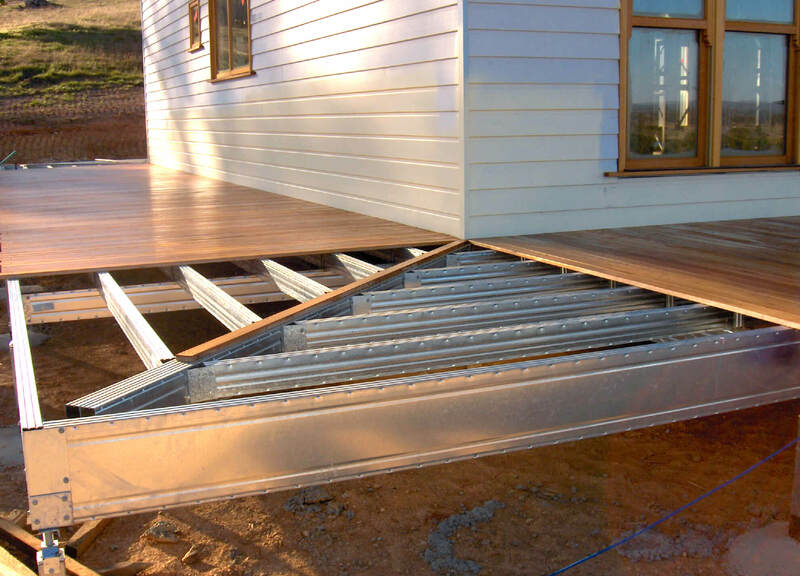 Spantec design caters for standard sheet sizes with joists at 450mm spacing. 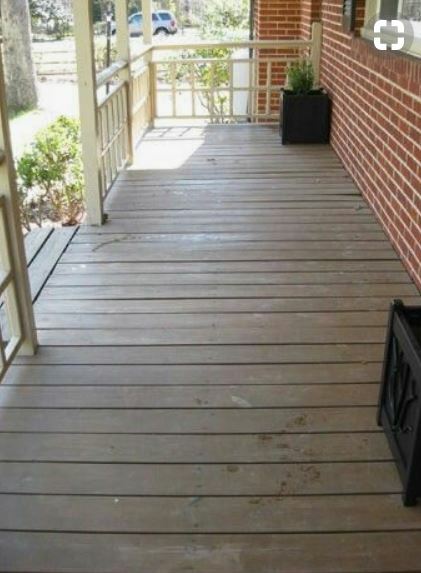 Moisture resistant floor covering. 19mm & 22mm thick. 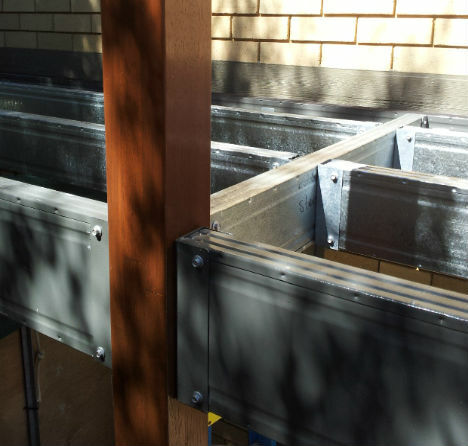 Spantec design caters for standard sheet sizes with joists at 450mm spacing. 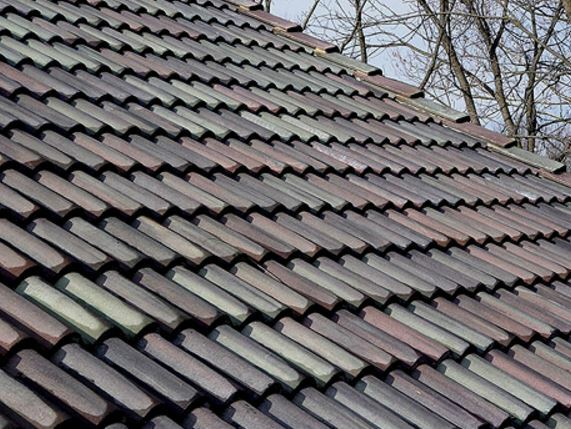 Moisture resistant covering. 15mm, 18mm & 25mm thick. 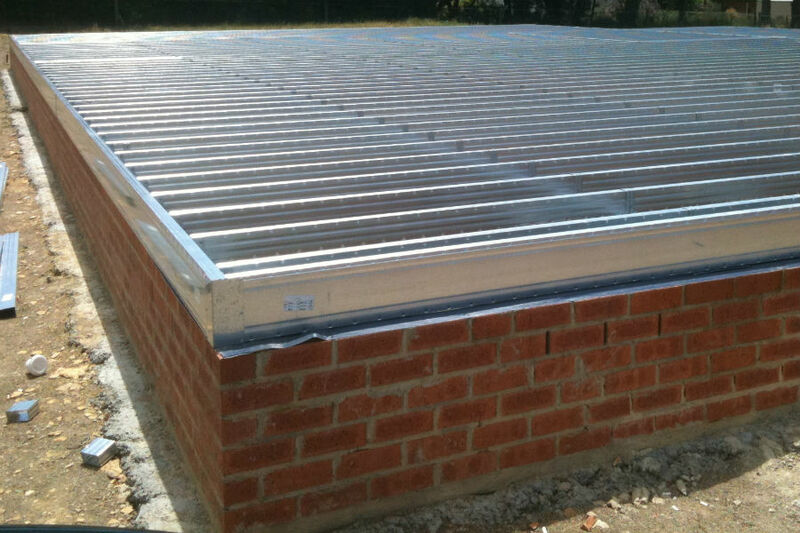 Spantec design caters for standard sheet sizes with joists at 450mm spacing. 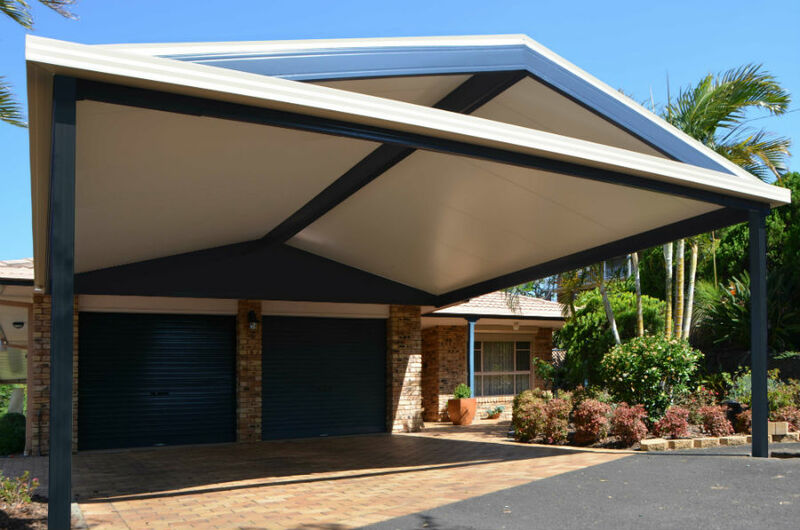 75mm thick Hebel panels and 22mm thick Scyon sheeting provides a wet area set down. 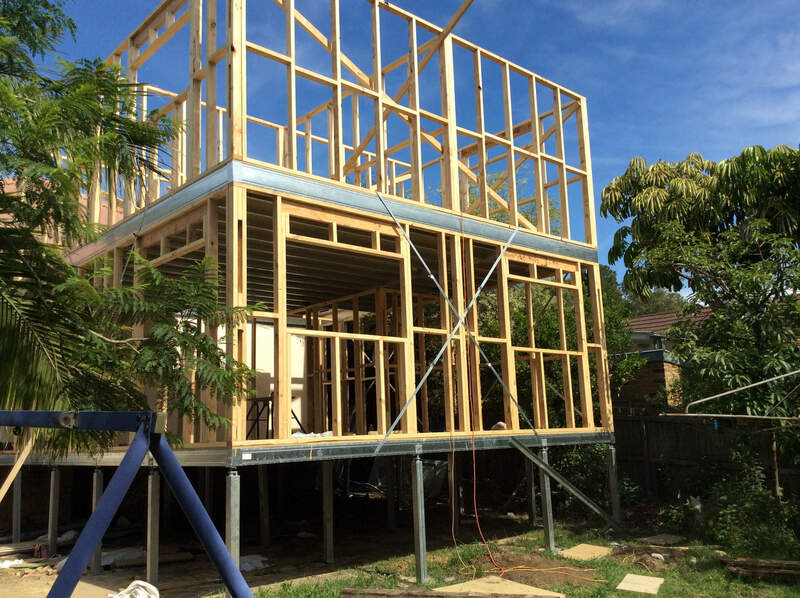 Extra joists and bearers are required to frame the wet area(s). The set down provides for the extra thickness of the tile and waterproofing layers enabling a flush floor finish transition to the rest of the house. 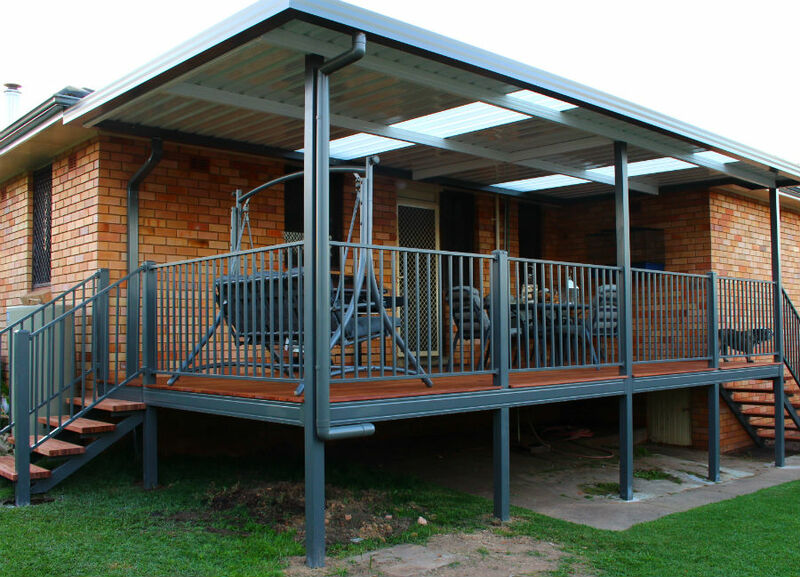 75mm thick Hebel panels and 25mm thick FC sheeting provides a wet area set down. 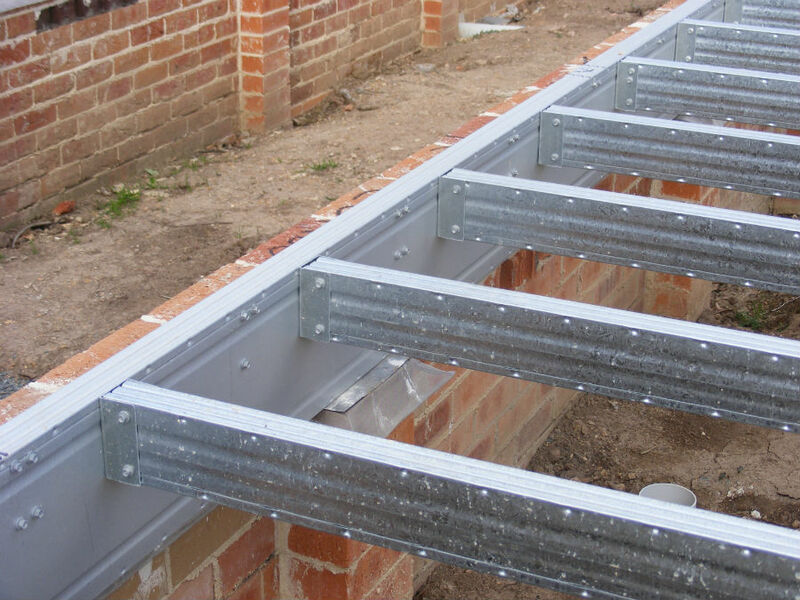 Extra joists and bearers are required to frame the wet area(s).The set down provides for the extra thickness of the tile and waterproofing layers enabling a flush floor finish transition to the rest of the house. 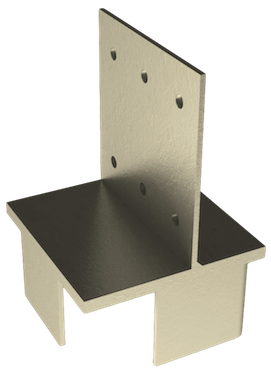 Spantec design caters for standard sheet sizes with joists at 450 spacing. 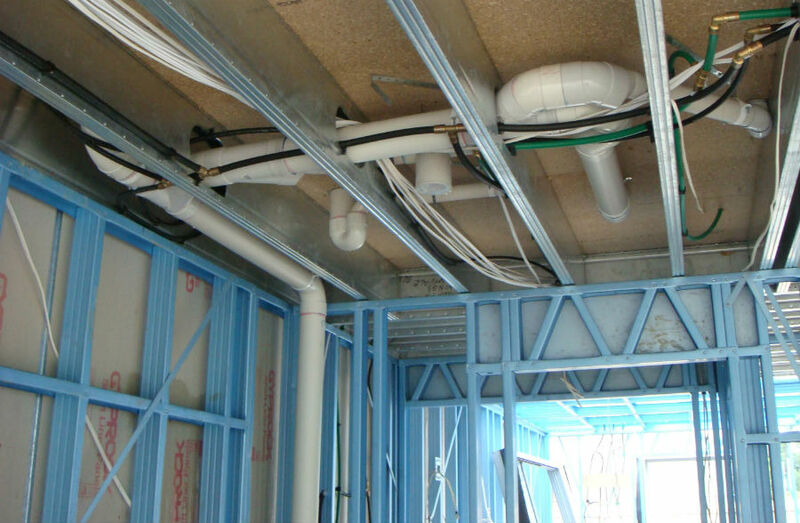 Extra joists are required where the particleboard meets the Scyon sheets. 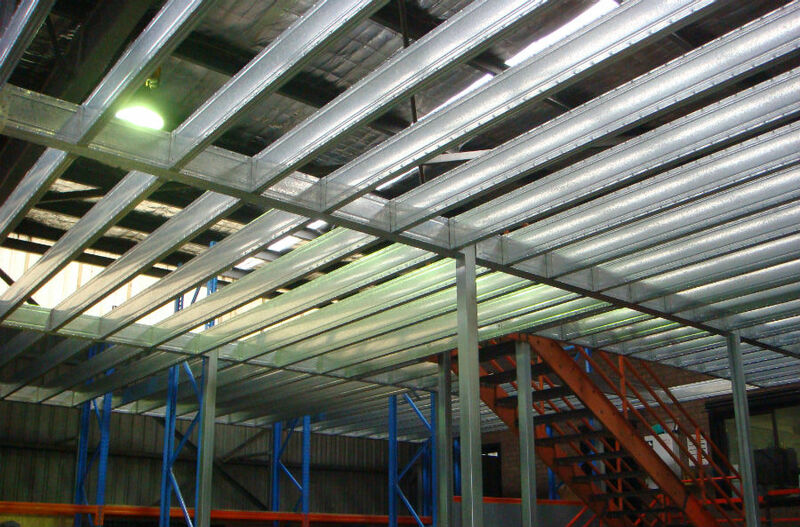 Spantec design caters for standard sheet sizes with joists at 450 spacing. 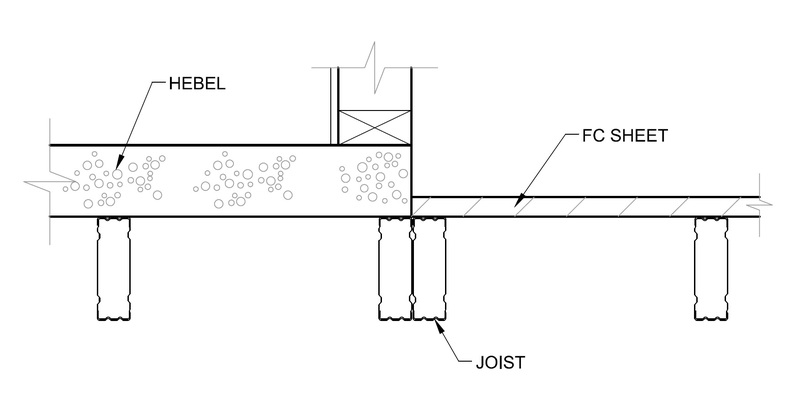 Extra joists are required where the particleboard meets the FC sheets. For a set down other than 50mm hole punching is not available. 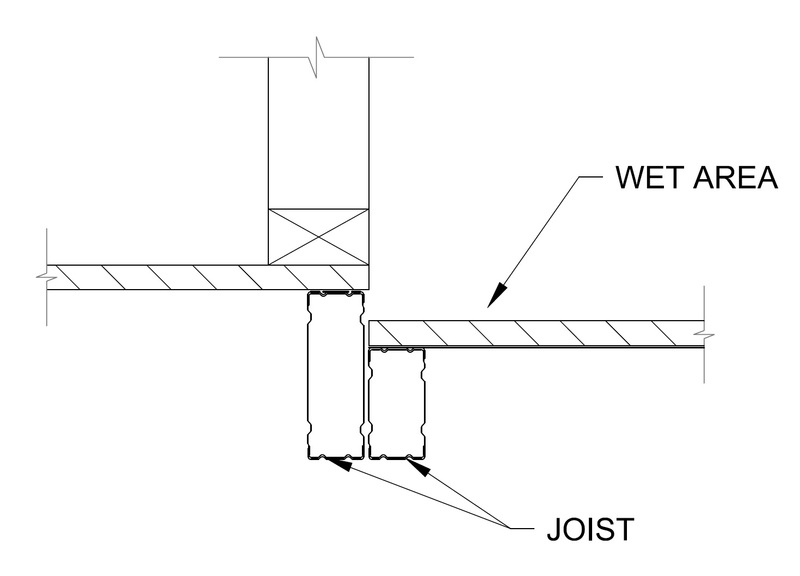 Extra joists are required to frame the wet area(s). The set down provides for the extra depth for fall required to the floor waste in bathrooms/laundries, enabling a flush floor finish transition to the rest of the house. The perimeter bearer is supported by the engaged piers only. 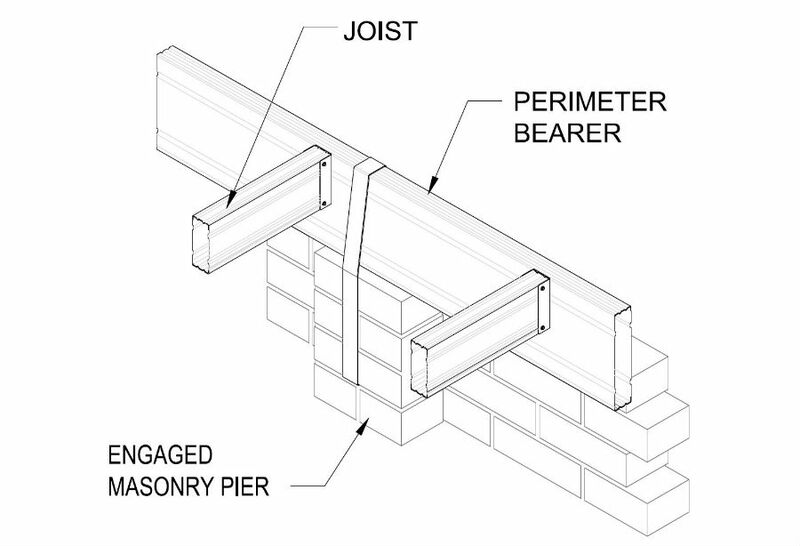 The perimeter bearer is fully supported by masonry or block wall. 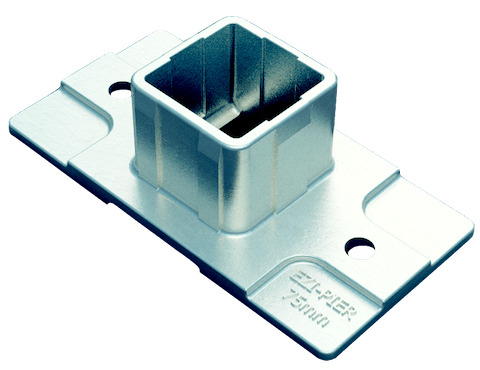 Do You Require Pier Heads &/or Bases? The internal bearer is fully supported by masonry or block wall. Please give a brief description of size and how these posts will support the Boxspan bearers. Please give a brief description of size and how these posts will support the Boxspan bearers. 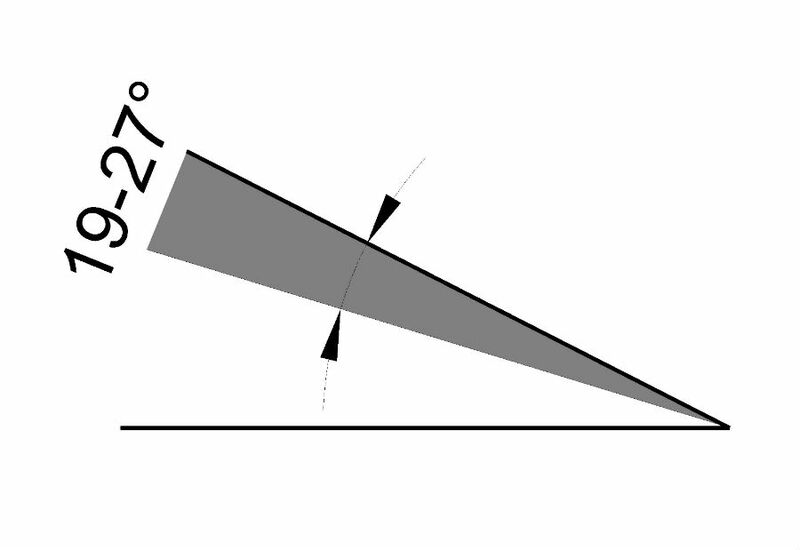 Spantec will require a accurate site measurement of pier locations. 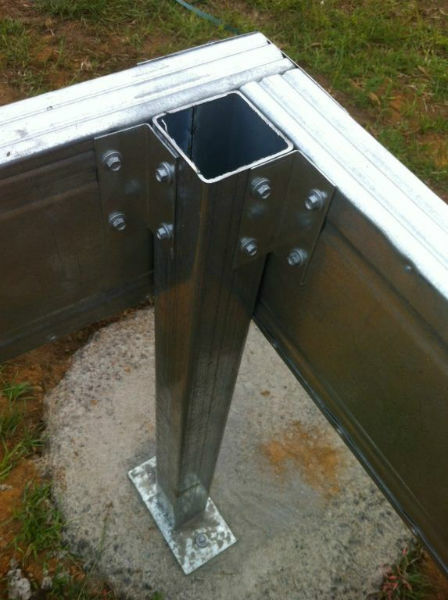 Do You Require Pier Heads &/or Bases For Internal Piers? 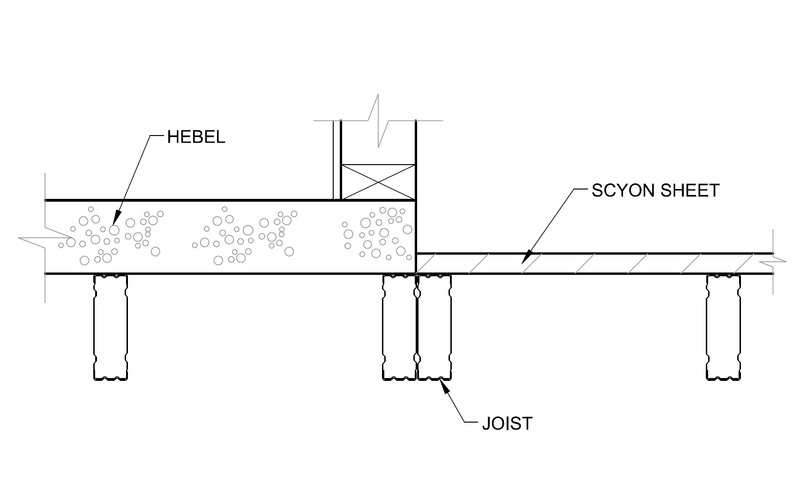 Hebel Power Floor is a 75mm thick panel that is supported by joists at either 450mm and 600mm joist centres. 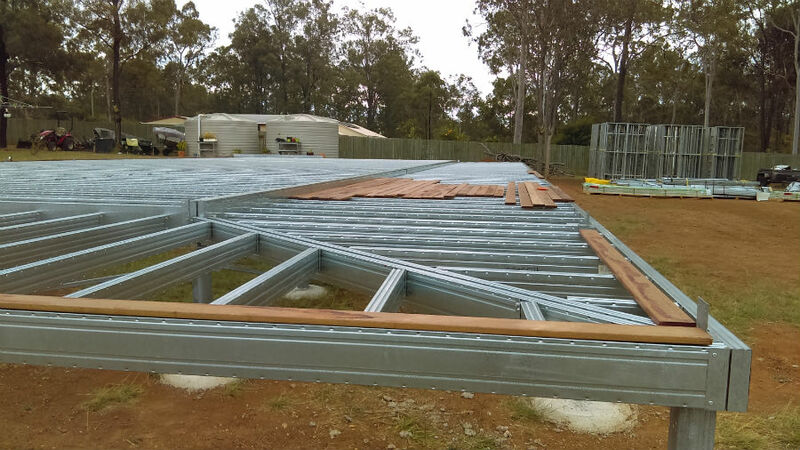 75mm thick Hebel panels and 22mm thick Scyon sheeting provides a wet area set down. 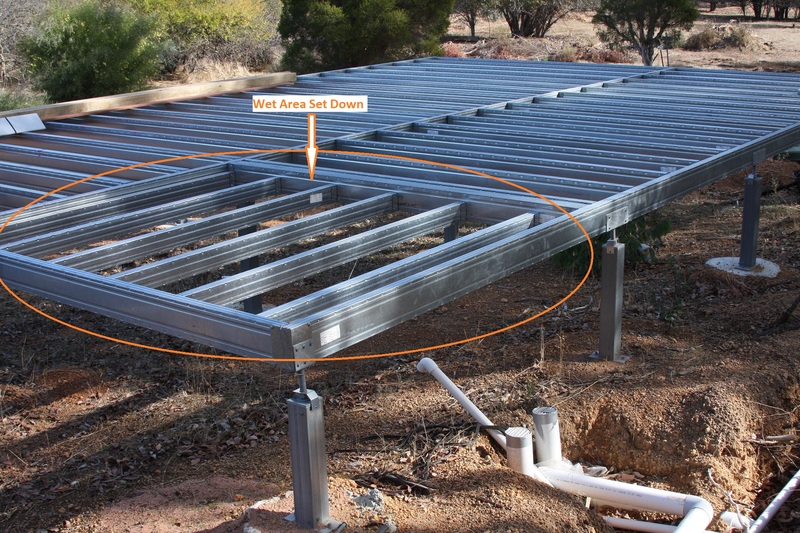 Extra joists and bearers are required to frame the wet area(s). 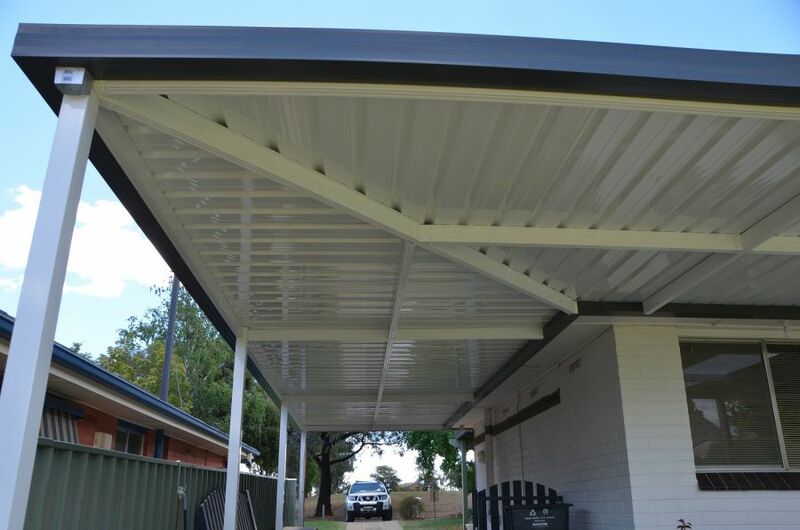 75mm thick Hebel panels and 25mm thick FC sheeting provides a wet area set down. 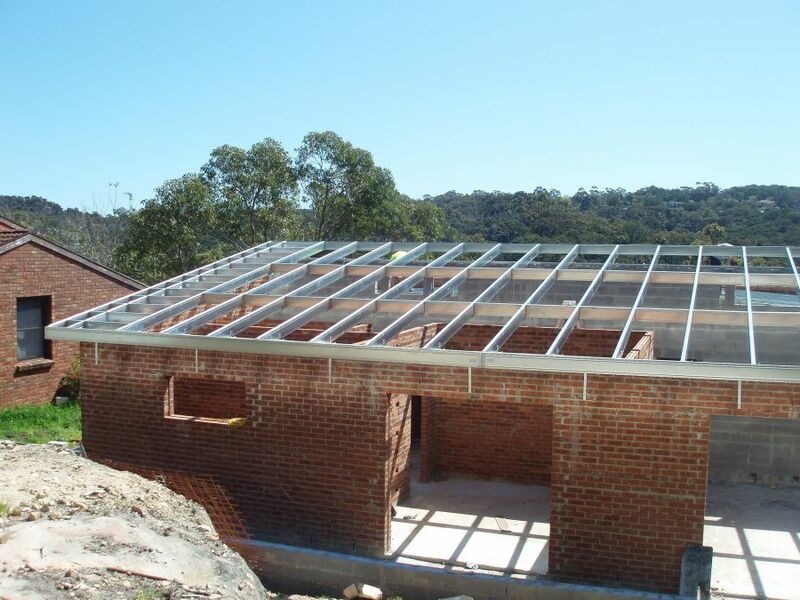 Extra joists and bearers are required to frame the wet area(s). 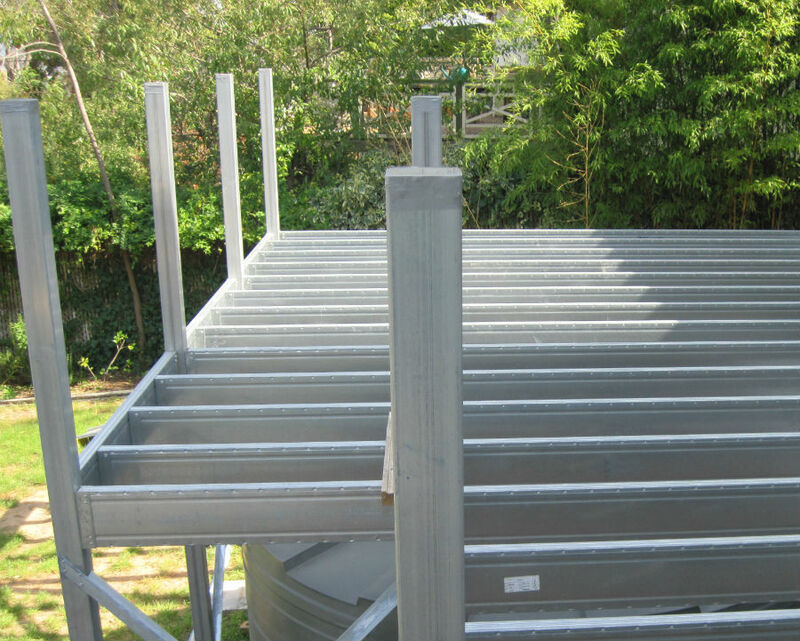 Extra joists, bearers and piers may be required to frame the wet area(s). The set down provides for the extra thickness of the tile and waterproofing layers enabling a flush floor finish transition to the rest of the house.. The perimeter bearer is supported by the stud frame of the floor below. The perimeter bearer is supported by the brick/concrete walls of the floor below. Please give a brief description of size and how these posts will support the Boxspan bearers. 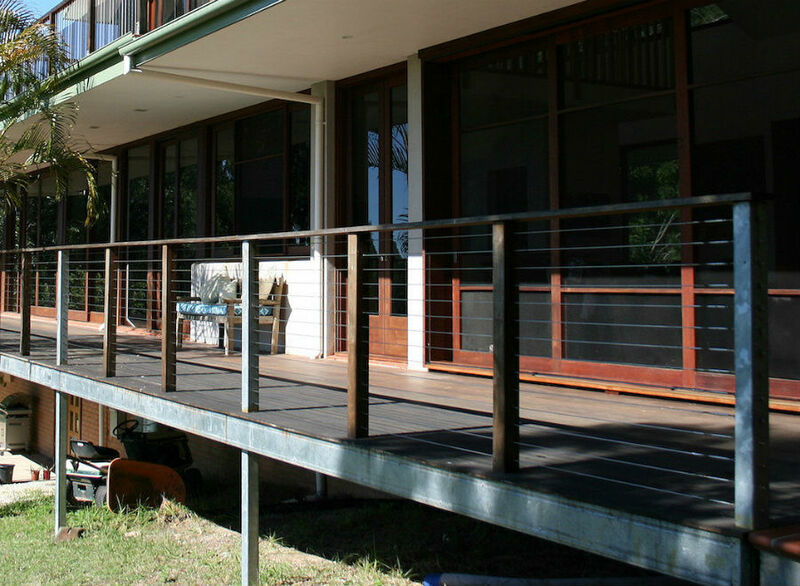 To provide an accurate quote Spantec will require a site plan of the pier locations. 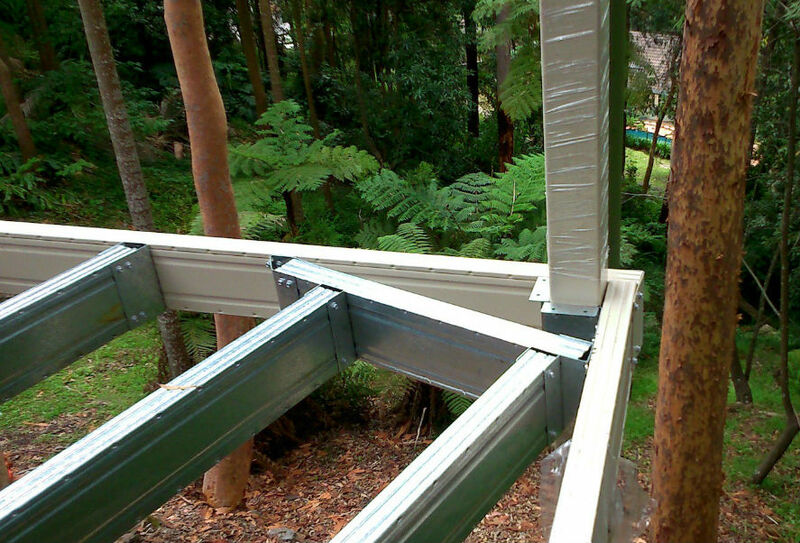 The internal bearers are supported by the stud frame of the floor below. 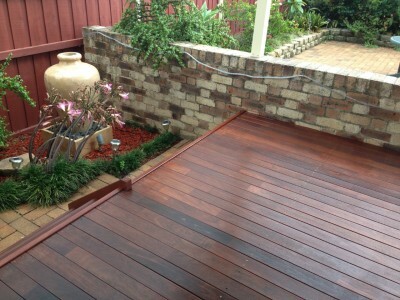 External structural flooring substrate for tile finishes. Click for more info ›. 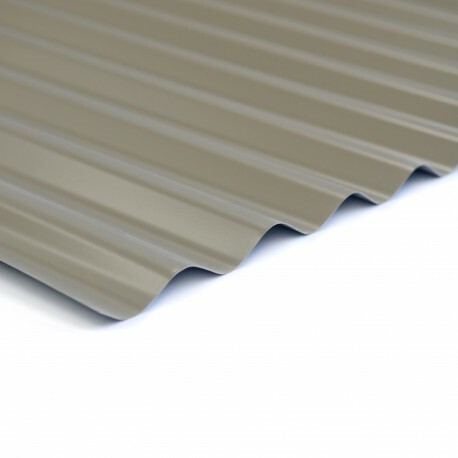 Fibre Cement sheeting for tile finishes. 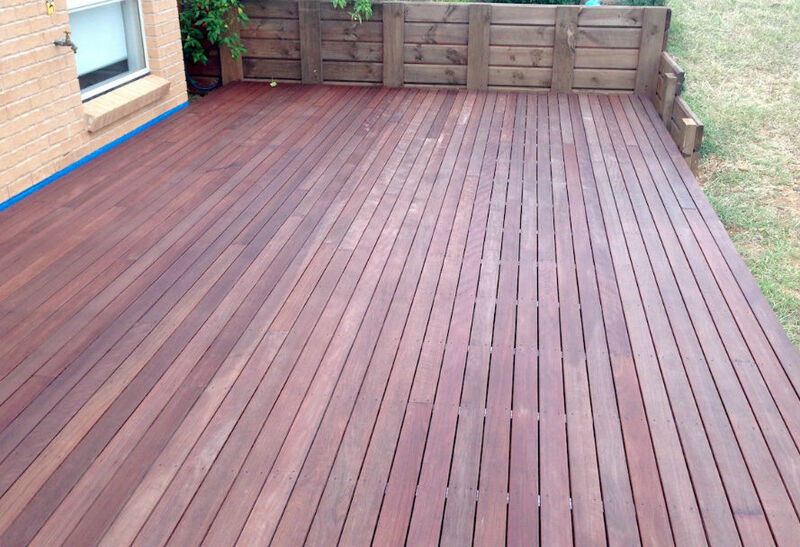 Composite decking is a man made building product that is a mixture of recycled wood fibres and plastic. 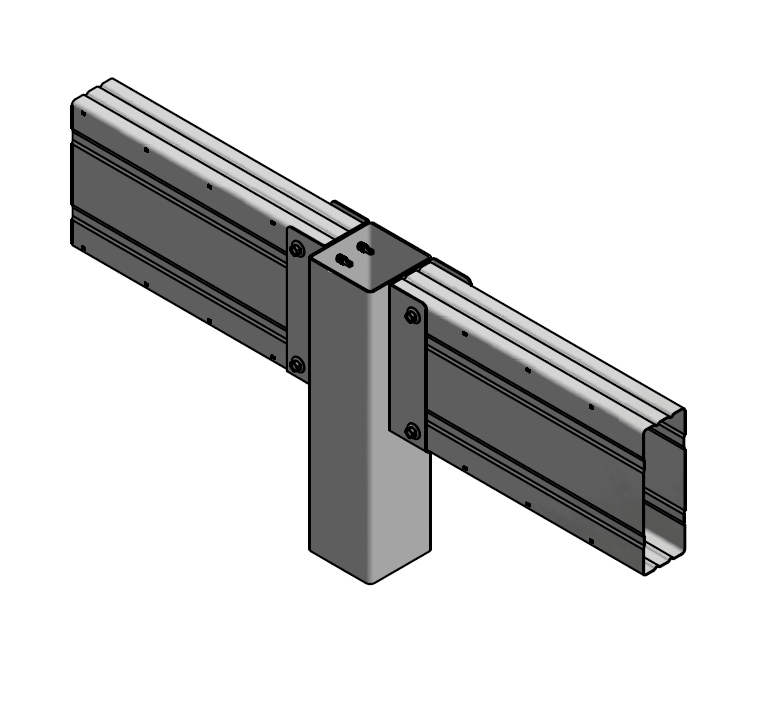 How will your piers support/connect to Boxspan? 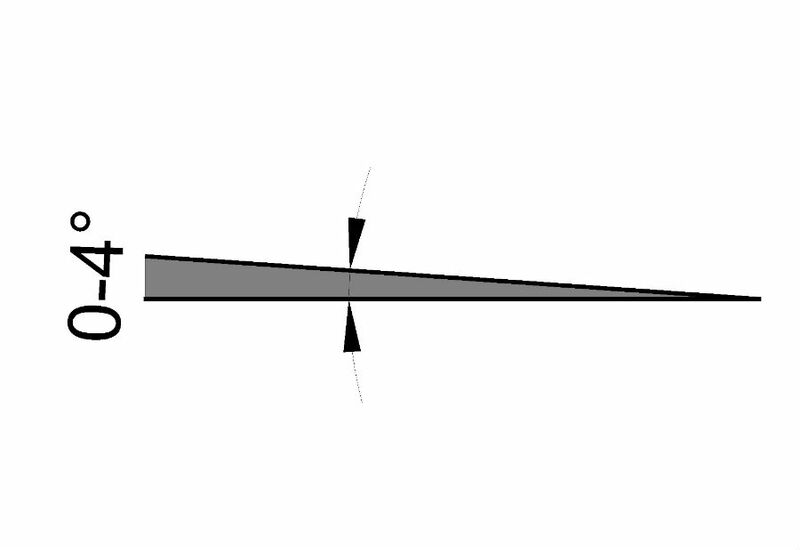 The posts are positioned inside the continuous perimeter bearer. The posts are positioned flush with the outside of the perimeter bearer. The posts are positioned flush with the perimeter bearer. Have you engaged an engineer for your project? 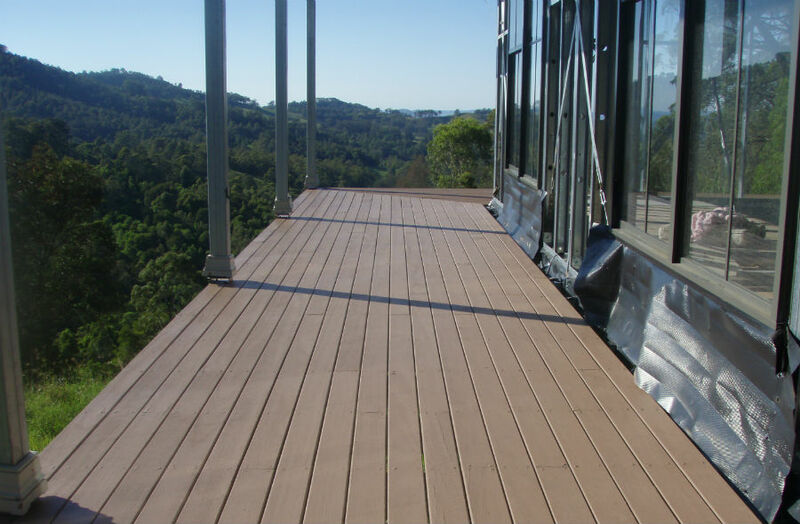 Would you like Spantec to quote the engineering for? Please select engineering service not provided by your engineer. Please give a brief description of how you heard about us.